Betty&gio. www.the-series.blogger.com.br. HD Wallpaper and background images in the Ugly Betty club tagged: ugly betty screencaps gio. This Ugly Betty wallpaper contains newspaper, paper, magazine, tabloid, and rag. There might also be anime, comic book, manga, and cartoon. 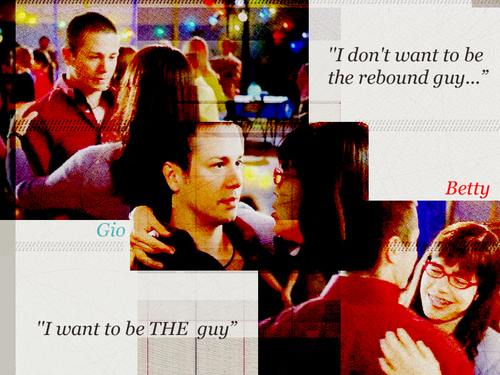 And you chose my favorite romantic quote on the show: when The Guy says he wants to be The Guy. Thank you!! !